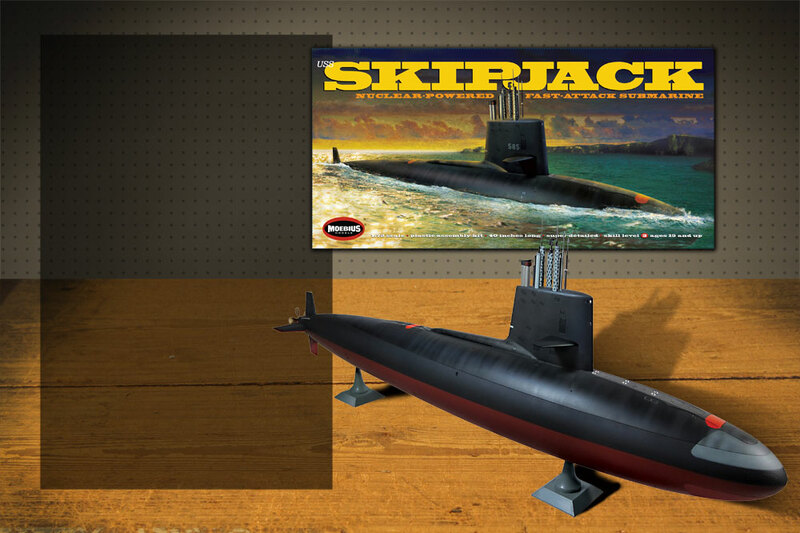 The Skipjack kit features decals for all 6 boats in the class. 1/72 scale, easily converted to radio control (not included). Over 40 inches long when assembled!